You are here: Home / Mens Health / Does Dairy Intake Hurt or Harm Prostate Cancer Survival? A new study out of Sweden in the International Journal of Cancer is suggesting that men diagnosed with localized prostate cancer should minimize their intake of dairy as it may be an effective method of decreasing prostate cancer progression and mortality. The 20 year study followed a population-based cohort of 525 prostate cancer patients from a case-control study who were younger than 80 years old at the time of enrollment and all born in Sweden. The recruitment of participants occurred from January 1989 and September 1991, and again between May 1992 and July 1994. 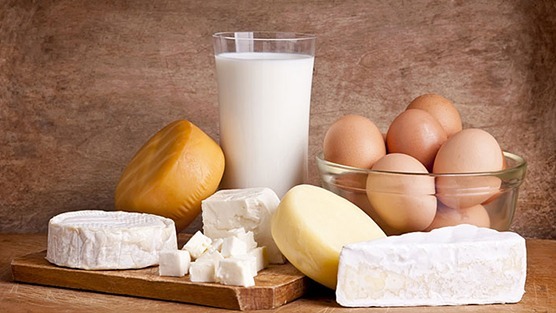 Researchers provided self-administered questionnaires that covered 16 dairy products looking at the associations between total, high-fat and low-fat dairy, total, high-fat, low-fat, and sour milk, butter, cheese, calcium, phosphorous and vitamin D and prostate cancer progression. At the time of each man’s diagnosis, it was found that on average, patients consumed 5 servings a day of total dairy products. What was found was that whole milk or high-fat milk was not associated with prostate cancer-specific death. But among the patients who were diagnosed with localized prostate cancer, when compared to men who consumed less than 1 serving a day of high-fat milk, those who drank 3 or more servings a day had an increased risk of prostate cancer mortality. Men who drank low-fat milk had an association with a borderline reduction in prostate cancer death among patients with localized prostate cancer. Another conclusion from the study was that localized prostate cancer is probably more susceptible to a man’s overall lifestyle factors. Therefore, men with localized prostate cancer who consumed low-fat milk are more likely to be considered healthier since low-fat milk consumers are probably practicing other healthy behaviors helping prevent a progression of their prostate cancer.